This mod is a tutorial on making simple and custom potions and effects. You can customize the icon, name, duration (the duration of both potions is one minute and a half, however, the number appears in ticks), and, of course, the power of the potion. You can download the mcr file and see how I did it. Obviously the effects are a bit limited, but hopefully it helped! sorry for my english. I tried to make good images. Added Reduced Falling effect, drinkable potion and splash potion. 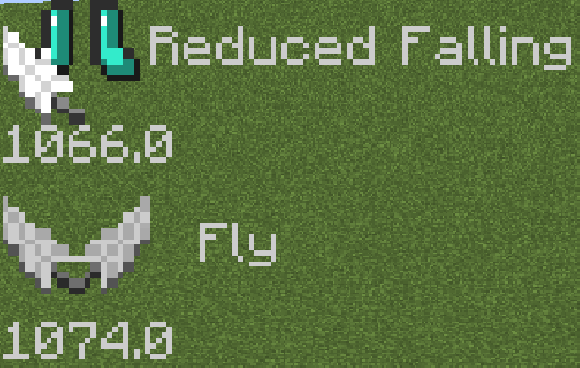 Added Fly effect, drinkable potion and splash potion. If you want I can make a tutorial on the forum later today. Nice to see more and more tutorial mods appearing on the website :) Good work! I forgot to mention that I had to code a bit. MCreator has a bug that causes the overlay editor not to accept global variables. So I copied the variable code from another procedure and pasted it into the overlay code. Then I'll explain better what to copy and paste.